Product weight is 0.45 lbs. Meal replacement Supports recovery Supports growth Supports size Weight gain, mass, meal replacement Meal replacement^Supports recovery^Supports growth^Supports size^Weight gain, mass, meal replacement Weight gainer. Meal replacement. Supports recovery. Supports growth. Supports size. 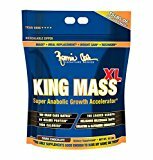 Weight gain, mass, meal replacement.